I am almost done a bottle of the “Ripped Freak” fat burner supplement made by PharmaFreak and thought I would do a quick review of it for those interested in taking it. Before taking Ripped Freak I had been off any fat burners for a few months, and was focused on adding a little bit of muscle during the fall and winter months. Usually I gauge the success of fat burners by weight loss on a scale, and fat loss in a mirror. This time I can’t really go by what the scale says, because I was also taking a testosterone booster at the same time as taking Ripped Freak, which helped me keep or even add some muscle while trying to lose my fat. With that said I did lose about 3 pounds, but I’ve lost noticeably more fat when looking in the mirror. I would guess I probably lost about 5 pounds of fat over the past three weeks I’ve been on Ripped Freak. With the Ripped Freak product you are supposed to take one in the morning 30 minutes before a meal, and you can also take one later in the afternoon (just not too late because of the stimulants in the product). After the first few days of taking just 1 pill I switched to the 2 as my body is pretty used to fat burners, and I need the full dosage to get some real results. I recommend starting with 1 and if you feel good work up to 2. You’re supposed to take Ripped Freak on an empty stomach and waiting 30 minutes before eating, but I found that my stomach was feeling a little funny if I would wait any longer than 30 minutes. I’d recommend you make sure you get a meal in 25 or 30 minutes after taking the Ripped Freak capsule. 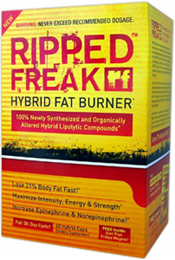 Overall I didn’t get too jittery or anything with Ripped Freak which is always a concern with Fat Burners. I took a half of a scoop of Assault Pre Workout while on Ripped Freak, but I would be careful with getting too many stimulants into your body. If you take 2 pills of Ripped Freak and a pre workout supplement you may get the jitters and feel not too good overall. Besides that there didn’t seem to be too many side effects for me. I don’t recommend drinking a lot of alcohol while on a fat burners, as I often feel quite a bit more hungover and crappy the next day. If you are trying to lose weight you shouldn’t be drinking alcohol anyways, so hopefully that isn’t a problem. With Ripped Freak I didn’t see as rapid as results as I had with Animal Cuts or OxyElite Pro but it did give me a bit of a boost. I am going to finish off this bottle and that start back with Animal Cuts for the final week or two before my vacation. Would I take Ripped Freak again? I am going to have to say no, unless I wanted a pretty “tame” fat burner at some point. 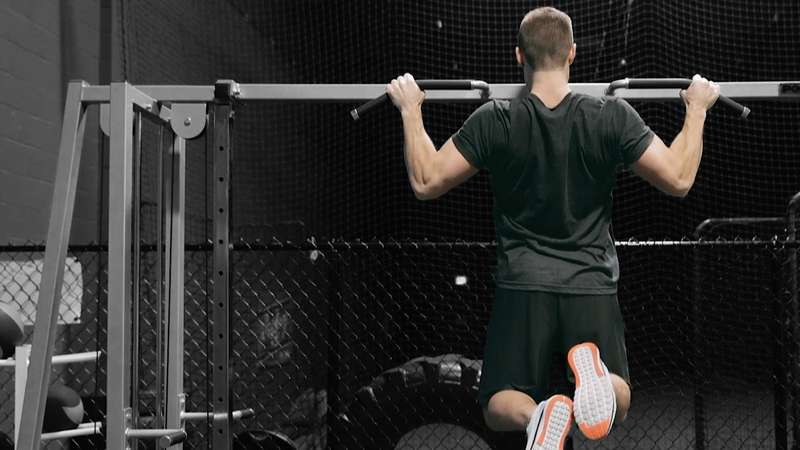 I think there are better options for fat burners out there. PharmaFreak does have some other solid supplements though, so don’t ignore their company as a whole. If you do want to buy Ripped Freak I recommend getting a better deal at BodyBuilding.com (will open in a new window and take you right to the Ripped Freak page). Good Luck with your fat loss and I hope this review helped you out.